Coroplast Signs are also called corrugated plastic signs, corflute signs and correx signs. Coroplast signs made from corrugated plastic sheets by printing, corrugated plastic sheet is a tough, waterproof and cost-effective material. Similar to the appearance of corrugated cardboard. The hollow-fluted design of the corrugated plastic sheet makes this signs material easy to handle and easy to display in various ways. So corrugated plastic board is the ideal material for making signs. Are you worried about buying cheap corrugated plastic signs? The fact that corrugated plastic signs are cheap does not mean they have to look cheap. Most people who look at the signs do not know what they are made of, nor do they care. When you look at the signs, what do you see? The message, the colors and any graphics, right? You can dramatically increase the effectiveness of your advertising by focusing on these design elements. With a design and an attractive color scheme, a normal piece of "corrugated board" can become a highly effective sign for your business. When you're ready, our designer can create an attractive and attractive design for you. Wholesale coroplast signs are affordable advertising tools suitable for outdoor spaces. These corrugated plastic signs are an economical option for seasonal sales promotions. The correct size of the coroplast sign depends on your specific needs. That's why we do not put too many limits on your size options for coroplast signs. The Jianxin manufacturer's coroplast signage comes in sizes up to 4 'X 8' on a single seamless sheet. If you need a signal that is bigger than that, do not worry! Just let us know and we will make sure to get any Coroplast sign of the size you need. The most popular sizes available for coroplast signs are: 10” x 12”, 12” x 18”, 18” x 24”, 24” x 36”, 48” x 96”. You can choose the color you want for your coroplast signs. We print all our corrugated plastic posters in full color. You can use any design, photo, logo or art on your poster at no additional charge. We can print your coroplast sign, either single or double sided. We also offer dry erase laminate for our coroplast signs. While we routinely cut coroplast sign into custom sizes, we usually only cut it into rectangular or square shapes. If you want other shapes, you can contact us to make. Printing methods are divided into screen printing and UV printing. Screen printing can only print simple patterns. UV printing can print complex patterns, but printing costs are relatively high. As the coroplast sign is protected against UV rays, most of them are backed by a structured base, the coroplast signs can be a farm sign or held with a wire or a metal base insert. Other varieties such as Air-frame can work alone without additional base support. Due to its easy to transport, configure and store design, coroplast sign can be used again and again to advertise and promote your business or idea. Do not let affordability fool you, the coroplast sign supports the bumps and deformations of everyday use. Often, customers opt for small or small size posters because of their reliability, since large posters are harder to transport without being punctured or crushed. The lightweight properties of coroplast have made it a popular alternative to the more rigid signaling materials. Corrugated plastic signs are also commonly preferred over cardboard and the foam core mounting board. The foam core is not waterproof and the surface is much more sensitive to damage than corrugated plastic. With a Jianxin personalized coroplast sign can be advertised almost anywhere. The coroplast signals, being light, are easy to mount on almost any surface. We also have a wide selection of frames and stakes that are perfect for coroplast signs. With these mounting options, you will not have problems for your business or promotional message to be displayed professionally. 1. They have a slightly fluted surface that looks like "corrugated cardboard". 5. The thickness can be selected from 2mm to 12mm, and the best recommendation is 4mm feels similar to stiff corrugated board. 6. We can custom any size and color you want. 7. Any design, artwork, photo or logo can be used. 8. The Coroplast signals serve as a popular alternative to the mounting options of the foam core. 9. The Coroplast sign is easily available in a highly rigid material. 10. They have tolerance to cold and heat in extreme temperatures. 11. 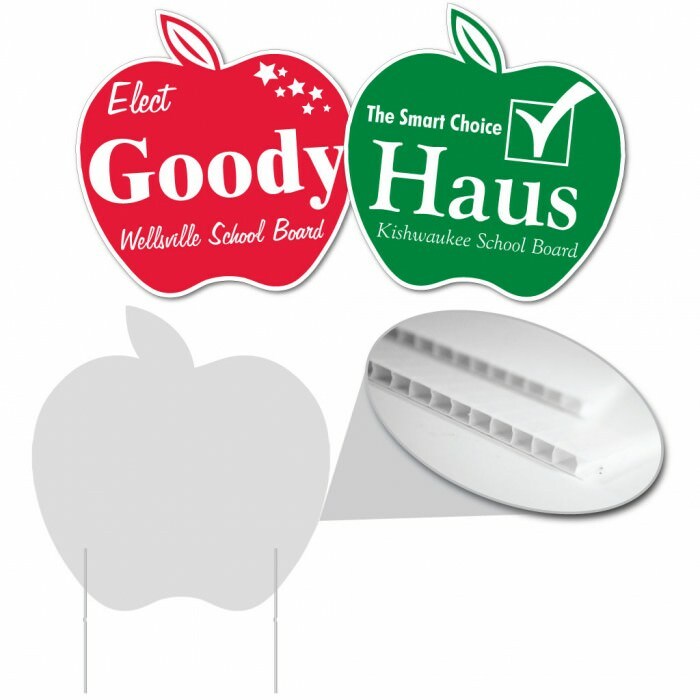 Coroplast signs can be print one-sided or both-sided. It is worth noting that most manufacturers are flat-panel printed corrugated plastic signs, which may be blurred if the graphics are too small. We offer a variety of installation kits and accessories to help you install your coroplast signs as soon as possible. Coroplast signs have hollow "flutes" that run horizontally or vertically. The standard is vertical flutes to allow easy installation with sign posts. If you prefer horizontal flutes, let us know. These flutes are an easy way to mount the sign on wire structures. A variety of scroll brackets for hanging your new custom sign. Adhesive backing available on small and lightweight signage. A complete selection of frames and stakes. Where to Buy Corrugated Plastic Signs? If you want wholesale corrugated plastic signs, you can get it from local store, but it’s expensive. 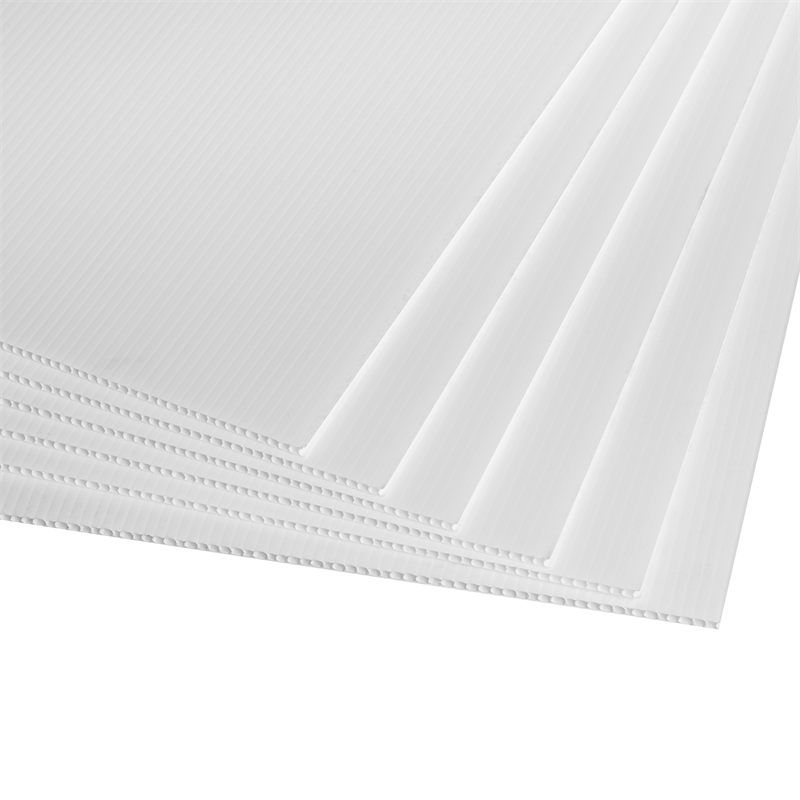 Another way is to import from other countries, provided that you need to have a large number of coroplast sheets, otherwise you will have to pay expensive shipping. If you hava other question, you can contact me, I am always ready to answer your questions.